Microsoft Communications Manager Brandon LeBlanc has finally given us our first official information about product editions for Windows 8, which is now confirmed to be the product's actual shipping name. For 32-bit and 64-bit PCs, there will be two editions of the operating system: Windows 8, which is roughly equivalent to Windows 7 Home Premium, and Windows 8 Pro, which is analogous to Windows 7 Ultimate. Windows on ARM, now called Windows RT, is a standalone product with roughly the same feature set as the standard Windows 8 product. Windows 8 Pro is a superset of Windows 8, including all of its features plus business and power user-oriented features like Bitlocker, EFS, the ability to boot from VHDs and host Remote Desktop sessions, the ability to join Active Directory domains. Some of these features had previously been restricted to the Ultimate/Enterprise product tier in Windows 7, and it's nice to see everything trickling down to what should hopefully be a cheaper product (though Microsoft has not yet released details about Windows 8 pricing). Windows 8 Enterprise will still exist as a separate product available to customers with Software Assurance volume licensing agreements with Microsoft. 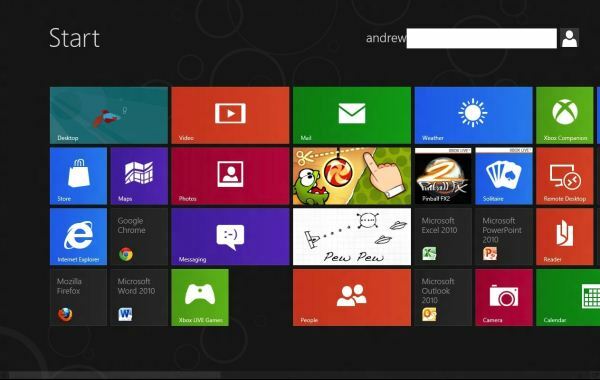 LeBlanc noted that Windows 8 Enterprise would include features that "enable PC management and deployment, advanced security, virtualization, new mobility scenarios, and much more," but it's not certain whether these will manifest themselves as new features within Windows 8 or as additional add-ons and programs available to enterprise customers separately. Windows 7 Enterprise was functionally identical to Windows 7 Ultimate except for its support of volume license keys. This is as simple as the WIndows product stack has been since Windows XP was introduced in Home and Pro editions in 2001, replacing Windows Me and Windows 2000 and bringing both the home and professional Windows products onto the same Windows NT codebase. Windows Vista split the lineup into four different commercially available editions - Home Basic, Home Premium, Business, and Ultimate - whose feature sets were often confusing and poorly defined. It's nice to see some semblance of simplicity restored six years later. For a full list of features included in each edition, the original blog post is linked below.